Shambray: Is there something you are forgetting to do while exercising? Is there something you are forgetting to do while exercising? I have the green light to start exercising from my doctor. Only problem...I can't find the motivation to do it! HUGE PROBLEM. I know how important it is and I know I will feel better after I do it. However, those reasons are not good enough. I need something that will help me get through it. I need something to look forward to WHILE I am exercising. I need that one thing that will push me to do it. Melissa has a great solution to my problem. I hope it can help many of you. Does music get you moving during your exercise? Does it help you to focus better? Music is good for your heart. Research shows that it is musical tempo, rather than style. Music can make exercising feel more like fun and less like work. 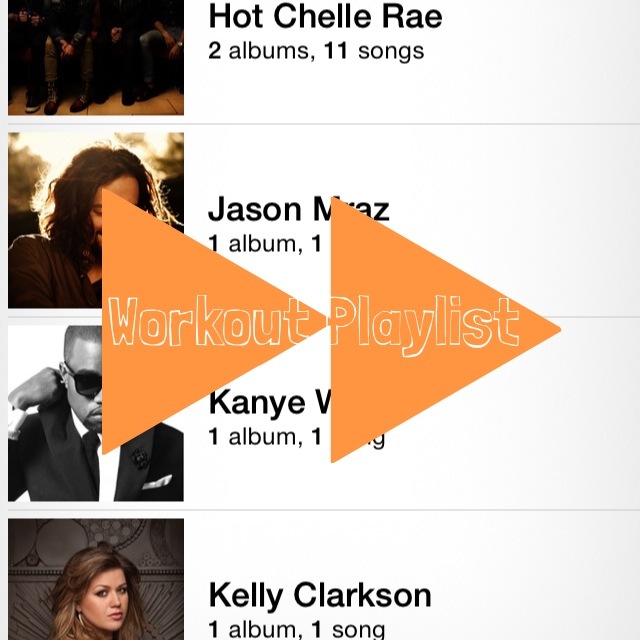 Choosing music that motivates you will make it easier to start moving. Anyone who has ever taken a particularly energetic exercise class or been on a long run with their iPod knows that music can make the time pass more quickly. Also, music enhances athletic performance! When you are lifting weights or following a trainer on a workout DVD, you can feel the music, pushing you through the exercise, getting in more reps and more sets- more burpees, or holding that plank longer! Music reduces muscle tension and improves body movement and coordination. Listening to upbeat music can be a great way to find some extra energy. Music can also eliminate exercise-induced fatigue and symptoms caused by monotonous work. Keep in mind that listening to too much upbeat music can make you more jittery than energized. Have a variety of what you listen to and find out what type of music is most beneficial for you. Here is what I love to listen to while working out! Do you like to listen to music when working? What are your favorite songs? What benefits have you noticed while exercising with music? I have an idea to help my motivation to exercise. I will start playing some of my favorite music about 10-15 minutes before I start exercising. I can do this while I get changed into my workout clothes. This will push me into the mood and help me. Then I can continue the music while I work out. I am so excited to see the difference!